Going to Napa Valley for some wine tasting? Napa is thriving with some of the countries top bed and breakfast inns form the ultra chic to some quite romantic getaways. The Napa Valley starts at the mouth of the Napa River, near the north end of San Francisco Bay, and continues north to Calistoga and the top of the growing region. It is just one of many valleys in the Napa County, although it is the largest and the most well known by far. After the gold rush, San Francisco prosperity caused a huge demand for wine, and today there are more than 200 wineries throughout Napa Valley. The Napa Valley offers a variety of options for exciting ways to spend your day, along with the world-class wineries. The region has plenty of local leisure activities: from elegant train rides, to hot air balloon rides, fine dining, musical festivals and local community events. Milliken Creek Inn and Spa - Napa, CA – Escape to Milliken Creek Inn and Spa, an elegant Napa hotel in California’s esteemed wine country. 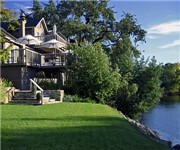 Hidden away on three verdant acres overlooking the idyllic Napa River, discover a place unlike any other Napa hotel. Here you will encounter five-star luxury that emphasizes thoroughly sophisticated service and style in a truly tranquil, intimate ambiance unlike other Napa hotels. In this superb Napa Valley setting, simply sumptuous accommodations are bathed in serene colors and accented with an exotic flair. Thoughtful touches invite pampering and romance, such as flickering fireplaces, canopy beds with the finest linens, rain showers and oversized hydrotherapy tubs outfitted with green tea bath salts and votive candles. Combining the best signature service of larger Napa hotels with a very exclusive and intimate ambiance, This luxury Napa hotel offers 12 exclusive and very private suites, each with a unique style all its own contrary to other Napa hotels. Old World Inn Napa Bed & Breakfast - Napa, CA – Designated as one of Napa's Landmark houses, the Old World Inn was built in 1906 by E. J. Doughty, a master craftsman responsible for some of the town's most beautiful homes and churches. As one of Napa’s oldest Bed and Breakfasts, the Old World Inn is known for two things: Quality of food, and friendliness. Guests are treated to a gourmet’s repast, from freshly-baked chocolate chip cookies on check-in, to a 5:30 wine and cheese social hour, to devastating chocolate desserts when they return back to the Inn in the evening. And each morning begins with the smell of freshly ground coffee (or teas) and a two-course gourmet breakfast that will make your mouth water. In Oprah Magazine. Award-winning B&B featured in Best Places to Stay, Best Places to Kiss, Online Award: "Best in the West!" Book today. Cottage Grove Inn - Calistoga, CA – Experience Napa Valley’s laid back luxury in your private resort cottage nestled amid tall trees and lush landscape at Cottage Grove Inn. Tucked into the charismatic wine country village of Calistoga, the inn is just a short stroll to restaurants, cafes, boutiques and galleries. Grab one of the inn’s complimentary bikes and ride to Napa Valley wineries along scenic roads. Embraced by a majestic old grove of Elm trees at the edge of Calistoga, the Cottage Grove Inn cottages are solidly constructed for peace and privacy. Vaulted ceilings with skylights create an open feeling. Hardwood floors made from salvaged old growth fir are from an old whiskey distillery. Gaige House, a Joie De Vivre Boutique Hotel - Glen Ellen, CA – A best kept secret among Sonoma Valley hotels and Napa Valley hotels, the Gaige House features Asian-inspired ambiance combined with modern luxury. Gaige House is an exceptional blend of vintage and contemporary. Nestled along peaceful winding roads and flourishing greenery, the Gaige House is renowned for its picturesque setting, impeccable service, and unique luxury Sonoma hotel guest amenities. After a day of visiting wineries, quaint boutiques and art galleries in the Sonoma / Napa Valley area, pamper yourself with luxurious spa services provided at peaceful indoor or outdoor locations or choose a private spa treatment in your own suite. Relax in the calming creek-side setting of our luxurious Napa Valley hotels sophisticated alternative to traditional Sonoma Valley hotels and traditional Napa Valley hotels. Perfect for a honeymoon or romantic getaway, the Gaige House offers a private retreat close to wineries and restaurants. Maison Fleurie B&B - Yountville, CA – Napa Valley's Maison Fleurie, the "flowering house," is situated on half an acre of beautifully landscaped gardens -- welcoming visitors to a Napa Valley inn reminiscent of southern France. Finely crafted furniture, rich fabrics, and a huge stone fireplace lend their ambiance to this historic main buidling, where a bountiful breakfast and afternoon wine and hors d'oeuvres are served. 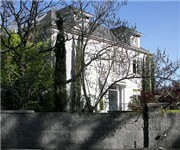 Beazley House Bed & Breakfast- Napa, CA – Napa's first Bed and breakfast is still its finest. A beautiful, historic inn located in a Victorian neighborhood is a short walk from the newly revitalized Napa river front and the Oxbow Market. The Beazley House, a wonderful circa 1902 mansion, was founded in 1981 in historic old town Napa by Carol and Jim Beazley, Napa's first innkeepers. The Beazleys have always been quick to add the amenities which they found their guests desired. By 1989 all of the ten guest rooms had private baths. Six of the rooms have fireplaces and five have private, two-person spas. Carol and Jim continue to personally manage the inn. La Belle Epoque - Napa, CA – La Belle Époque sets the standard for luxury accommodations in the Napa Valley. 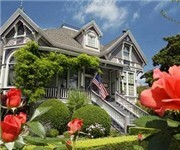 For over a century this stunning Napa Valley Queen Anne Victorian has reigned over Napa. Today, La Belle Époque is a luxury Napa Valley retreat surrounded by lush gardens. The main Napa bed and breakfast inn offers six rooms and a honeymoon suite and is complemented by a separate historic house, La Pette Maison, which features a pair of luxury suites. Rooms are carefully appointed with antiques and amenities creating a deeply relaxing and romantic ambiance. Guests to this Napa luxury inn are welcomed nightly to an elegant reception featuring Napa Valley’s premium wines from the Archers’ collection, hors d'oeuvres and fine imported cheeses. Guests enjoy a formal, gourmet candlelight breakfast each morning. The Napa innkeepers design custom tours of the Napa Valley’s wineries and according to their guests’ tastes, provide suggestions for fine dining, golf, and balloon rides. Hennessey House B&B - Napa, CA – Relax in a great Napa B&B! Hennessey House is located on a residential portion of Napa's Main Street. It is just a short walk to restaurants, shops, historic buildings, the Wine Train, and COPIA-The American Center for Wine, Food and the Arts. World class wineries and vineyards are just minutes away. The house, built in 1889, is a listed historic landmark. The inn has ten guest rooms all with private bathrooms. Sip wine and share conversation by the garden fountain. Warm your body and soul in the sauna. Candlelight Inn - Napa, CA – Luxurious Napa Valley bed and breakfast. Located near downtown Napa, this lovely 1929 English Tudor inn is centrally located to all the wonders of wine country, yet oh, so far away. Secluded beneath towering redwood trees along the banks of the Napa Creek, the inn rests on an acre of quiet, park-like grounds. A romantic and restful backyard delights sun seekers with manicured gardens and a spacious swimming pool. Arbor Guest House - Napa, CA – Enter the relaxing world of the Arbor Guest House Bed and Breakfast and the Napa Valley Wine Country. The Arbor Guest House is a unique, colonial revival home featuring modern luxury amenities while maintaining it’s original turn-of-the-century charm. The Arbor Guest House Bed & Breakfast has three suites in the main house and two suites in the Carriage House. This timeless estate features an enchanting gazebo and tranquil sitting areas throughout the garden where guests can relax their minds and forget the rush of everyday life, play a mellow game of bocce ball or stroll the beautifully cultivated grounds. Cedar Gables Inn - Napa, CA – Cedar Gables inn, a luxurious Napa Valley Bed and Breakfast, where enchantment, romance and history await you. Treat yourself to an unforgettable Napa Valley bed and breakfast experience as you indulge in delicious gourmet breakfasts, evening hors d’oeuvres and fine wines, and the ultimate in hospitality and social graces. Be whisked away to Renaissance England at one of the grandest and most treasured Napa Valley bed and breakfast inns in Northern California! The Chanric Inn Bed & Breakfast - Calistoga, CA – Focused on the discerning culinary traveler, guests indulge in our multi-course, chef-prepared brunch from the Chanric Inn's stunning show kitchen and also enjoy libations from the complimentary wet bar. Following in the historic tradition of Calistoga spas, our award-winning massage therapists provide soul-soothing on site spa treatments. Take advantage of our special packages that combine all the best that Napa Valley has to offer, including inspiring cooking classes. The inn's full-concierge service can also arrange custom guest itineraries and wine country tours. 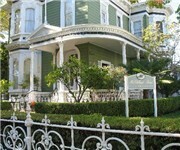 McClelland Priest B&B Inn - Napa, CA – You are invited to stay and experience the stately elegance of the McClelland - Priest Bed and Breakfast Inn. Our Historic Landmark takes you back to 1879. Upon your arrival you are warmly welcomed at the front entrance's expansive stained glass doors. The innkeeper/owner Celeste Carducci imparts a brief history to set the ambiance for your Victorian pleasure ahead. As you proceed from the grand foyer into the formal parlor, hospitality and amenities abound. Relax amidst European antiques, handcrafted plaster ceilings, and authentically ornate chandeliers as you enjoy an early evening reception featuring hors d'oeuvres and fine Napa Valley Wines. Shady Oaks Country Inn - St Helena, CA – We invite you to experience the warmth and romance of our Bed and Breakfast Inn secluded on two acres of Shady Oaks and walnut trees nestled among some of the finest Napa wineries and restaurants in Napa Valley, California. Relax and enjoy the elegant ambiance, the country tranquility and each other in our little piece of heaven. Tasting wines and touring some of the oldest and most prestigious wineries in California is just the beginning ... dining ... ballooning ... mud baths ... massage for two in the privacy of your own room. Each evening enjoy the company of others while we serve premium Napa Valley wines on the Roman pillared patio. Browse through our collection of restaurant menus of the Napa Valley's unequaled fine dining and casual restaurants. Churchill Manor Bed & Breakfast - Napa, CA – This romantic mansion offers the exclusivity of ten exquisite guest rooms and more than 3,000 square feet of shared rooms for guest use. They include our expansive front parlor, piano parlor, historic dining room, television parlor and solarium. A massive wrap-around veranda allows many vantage points from which to contemplate our beautiful grounds. The rooms are dedicated to the wine growing regions of Napa Valley. They reflect the charm and elegance of the 115-year old Mansion, yet offer modern amenities to complement your stay. Oak Knoll Inn - Napa, CA – Visiting Napa's top rated luxury Inn is like visiting a private retreat in the vineyards. All the seclusion you want,all the personal service you need from hosts who can design an itinerary tailored to your desires. Vast elegant guest rooms with king-sized beds and wood burning fireplaces overlook the surrounding 600 acres of vineyards backed by Stag's Leap Mountain. The secluded setting makes it hard to believe that some of Napa's best known wineries and fabulous restaurants are just minutes away. The Inn has one of the most spectacular locations in Napa Valley. This is the place to stay for a romantic getaway and/or if you are looking for assistance with winery suggestions. There is no more experienced staff in the Valley and they will spend hours helping each guest have a fantastic stay!! Every room (only four) has incredible views of the surrounding vineyards through which you can walk. Adagio Inn - St Helena, CA – Napa Wine Country's Adagio Inn Bed and Breakfast is situated in historic downtown St. Helena, California, in a quiet neighborhood of the Napa Valley just a two-block walk to world-class restaurants and shops. This Napa Valley Bed and Breakfast is a turn of the century Edwardian home. Accommodations are luxuriously decorated in a relaxed European elegance. The Adagio Inn Bed and Breakfast is a turn of the century Edwardian home. Accommodations are luxuriously decorated in a relaxed European elegance. Chateau de Vie - Calistoga, CA – Surrounded by Napa Valley Vineyards. Well apointed king and queen guest rooms. The finest in linens. Lush towels, oversized robes. A full breakfast of all your favorites. Jacuzzi Hot tub, 40ft vineyard lap pool. Walk out onto the deck to take in the astounding view of Mt. St. Helena and acres of Napa Valley's finest. Wine Country Inn - St. Helena, CA – The Wine Country Inn offers luxurious Napa Valley lodging accommodations. Our Bed and Breakfast has individually decorated rooms, which include 20 guest rooms, 4 suites and 5 luxury cottages. If you seek serenity of the Napa Valley region, let the Wine Country Inns ambience provide the relaxation and tranquility desired. Each Wine Country Inn room has a distinct romantic personality. We've paid attention to every detail to create the perfect Napa Valley romantic getaway. Blackbird Inn Bed & Breakfast - Napa, CA – Blackbird Inn offers the intimacy of a vintage hideaway, yet is an easy walk to many shops and restaurants. With its spacious front porch, huge stone fireplace and liberal use of fine woods, Blackbird Inn creates a warm, welcoming atmosphere and is just a short drive to world renowned Napa Valley wineries. This Napa Valley bed and breakfast inn is situated in downtown Napa and is part of the prestigious Four Sisters Inns collection. This Four Sisters Inn blends the modern luxuries and sophisticated services of a boutique hotel with the traditional amenities and architecture of a B & B.